A longstanding fruit and vegetable store in Tullamore has closed its doors for the final time. Paul's Fruit and Veg has been based in Kilbride Plaza for many years but it closed for the final time this month. "Well folks, this is not an easy post to do! After nearly 30 years it is with great sadness we have made the decision to close our door. We would like to thank everyone for your custom through out the years. Some customers supported daddy (Paul) from when he had the stall on Kilbride Plaza right through to opening the shop and up to when he passed away and in the two and a half years since. We wish all our customers the very best of luck, health and happiness. Betty, Aisling, Kara and James." There were many messages of thanks, support and well wishes in response to the Facebook post. 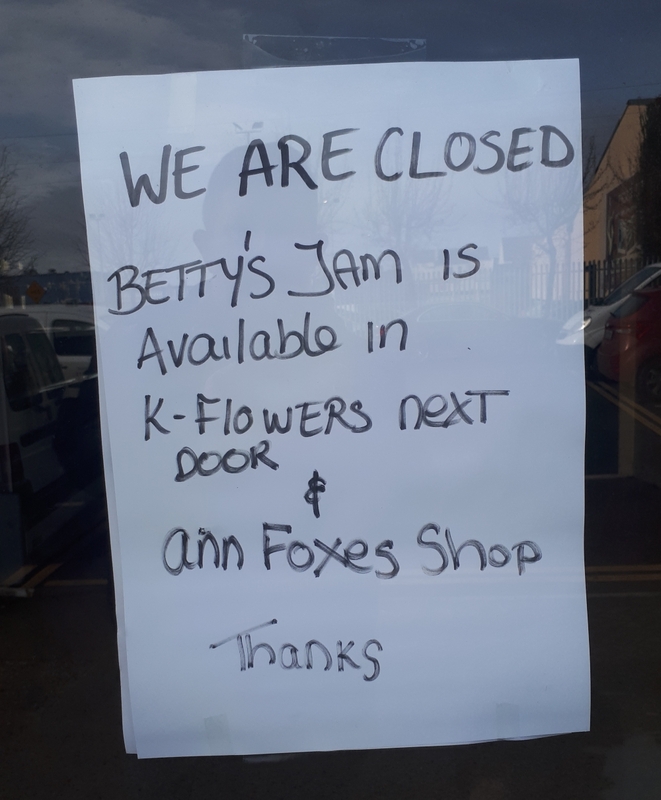 A sign in the window informs former customers that Betty's Jam is still available to buy locally.